Originally from Maryborough, in the heart of the Victorian Goldfields region, Ohlsen had a dispute with Carlton and crossed to arch rival Collingwood. He was a handy utility, but was mainly used as a ruck-rover. He could also tag key opposition players. 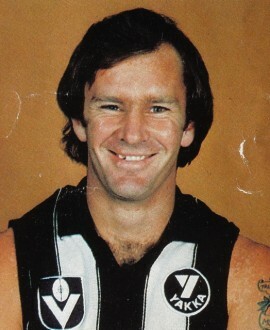 Ohlsen played in Collingwood’s losing Grand Final sides of 1979 and 1980.